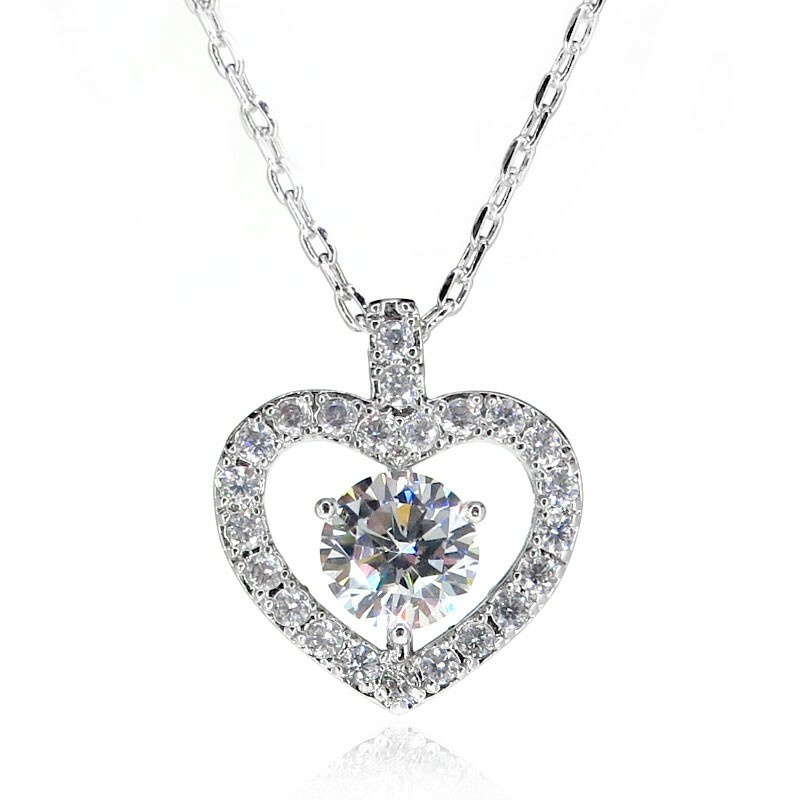 A striking rendition of a timeless design, this contemporary necklace features a beautiful heart-shaped pendant paved with 23 smaller 1.5mm tiny stones and frames a breathtakingly sparkly 6mm brilliant-cut stone. 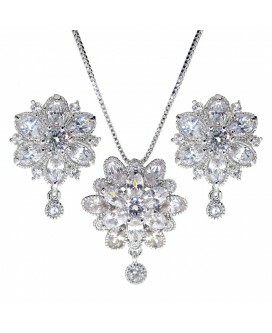 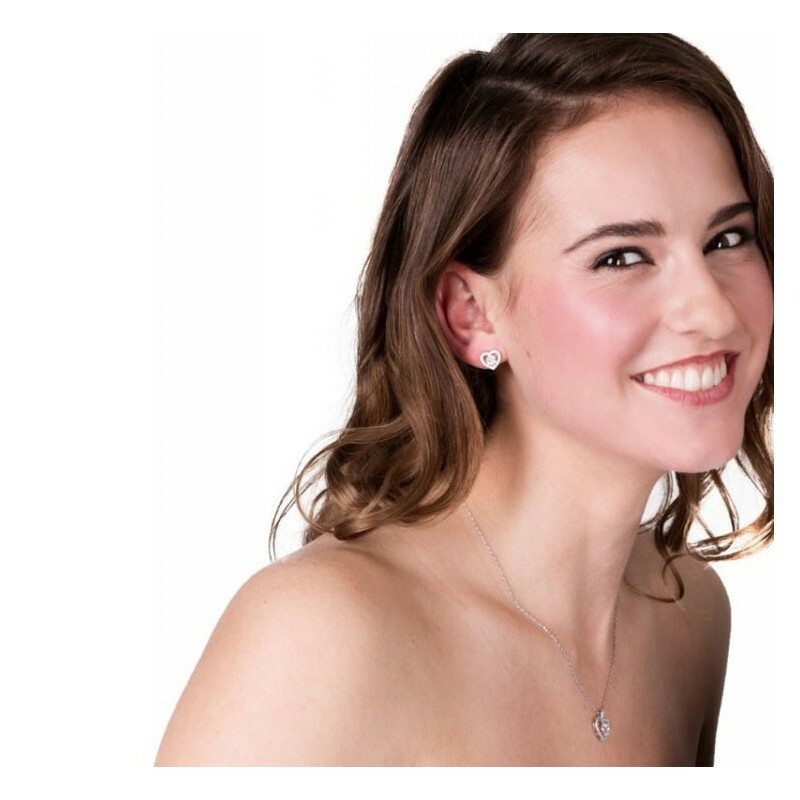 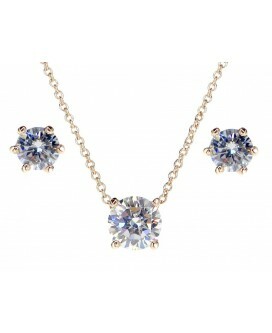 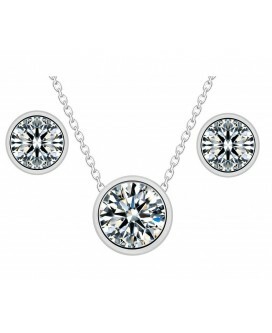 Equally glamorous, this necklace is paired with matching stud earrings to complete a dazzling set. 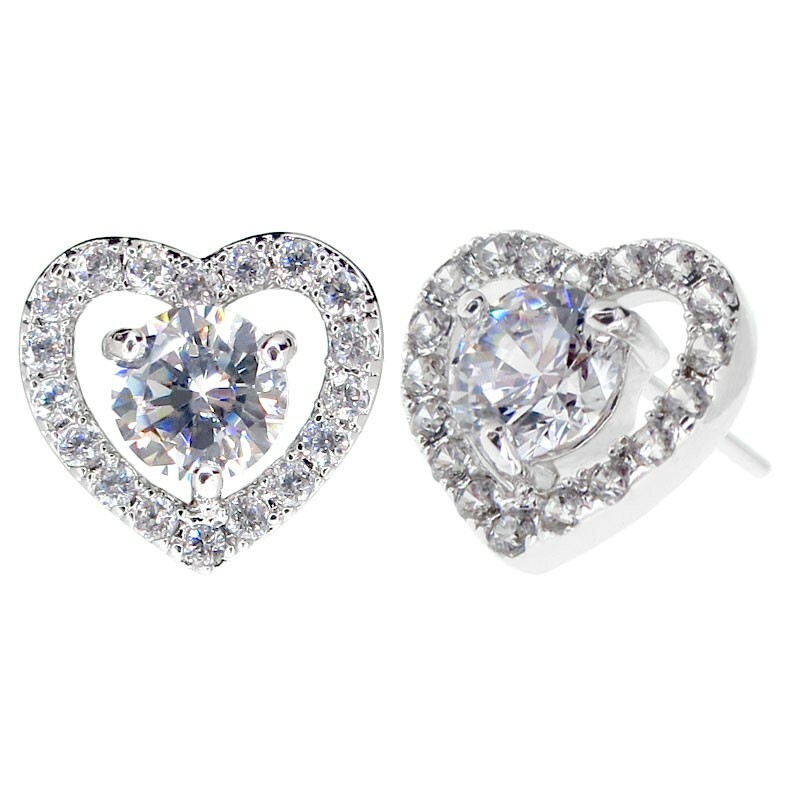 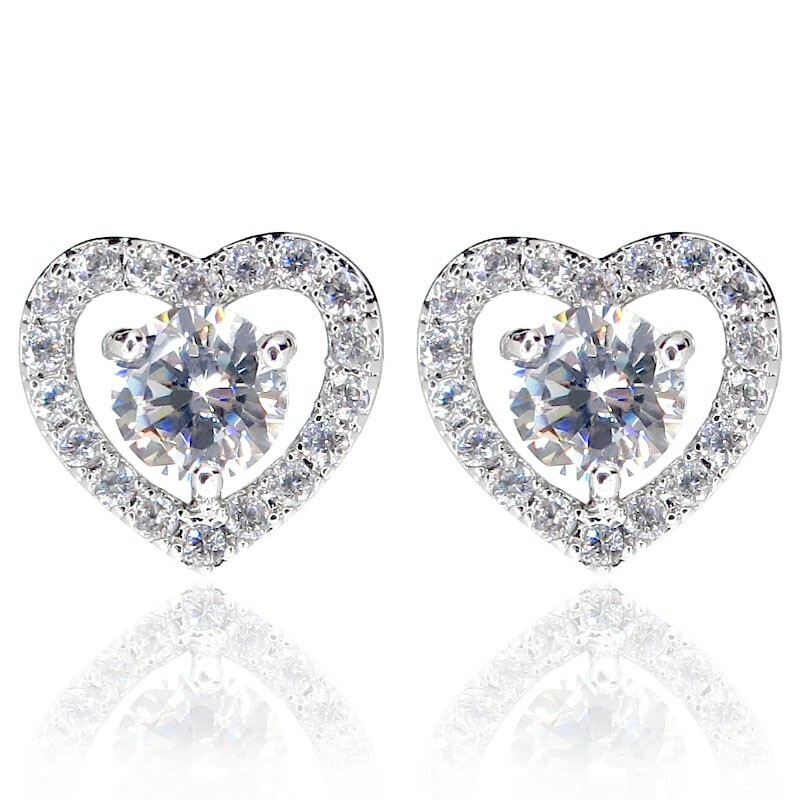 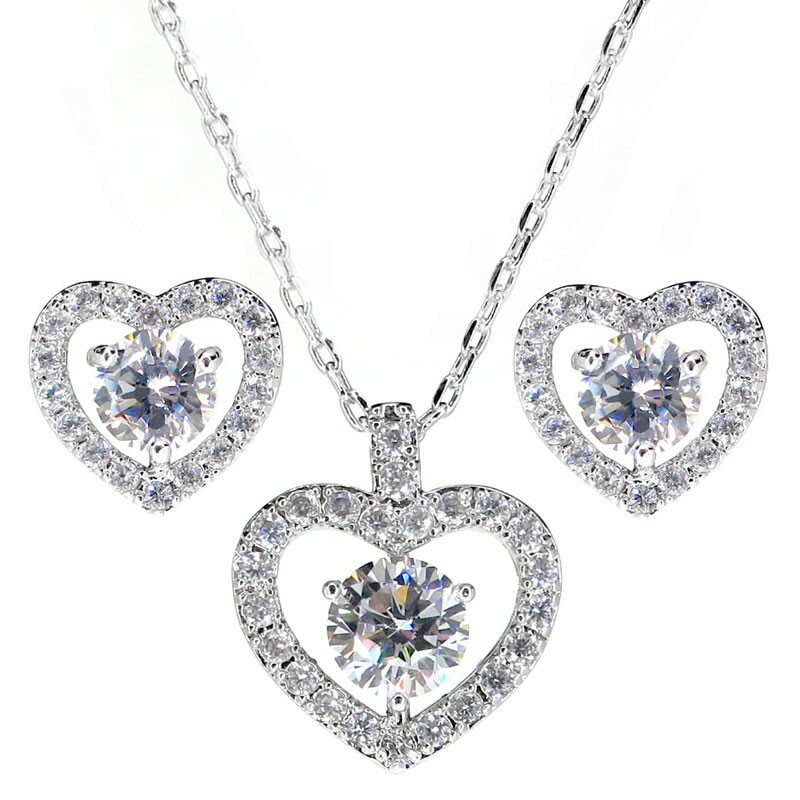 It features a 5mm brilliant-cut cubic zirconia stone hugged by a similar heart-shaped rim paved with inlaid tiny stones. 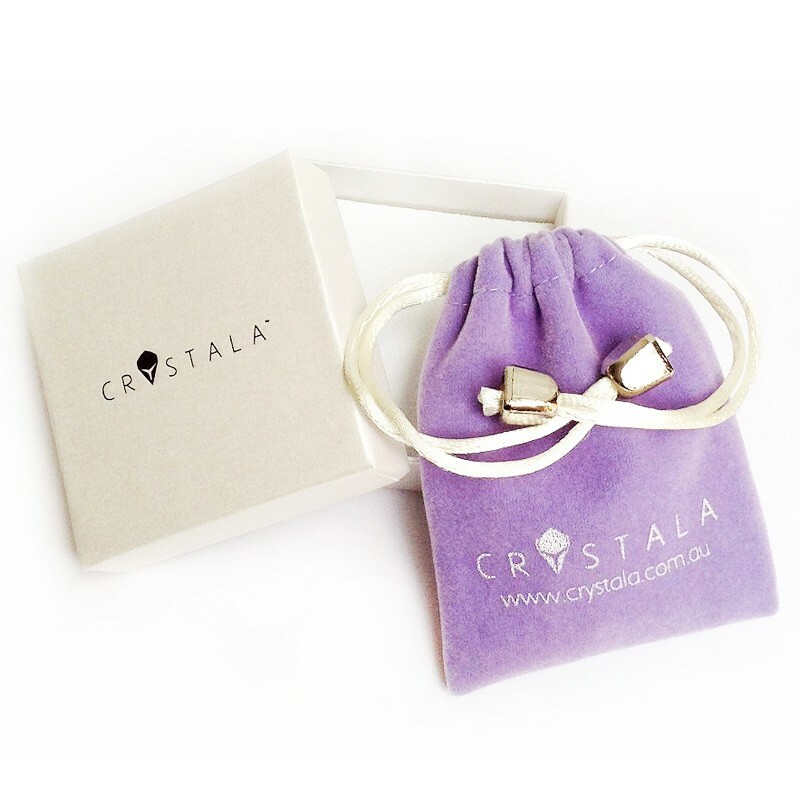 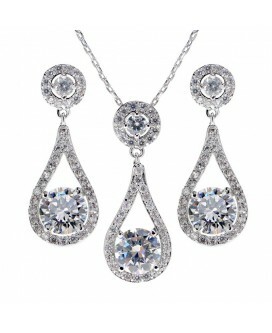 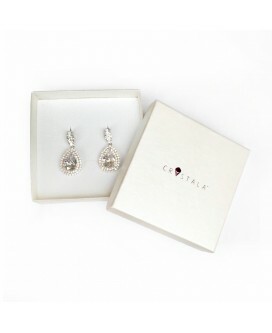 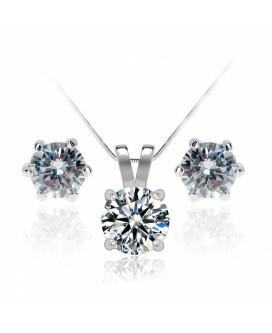 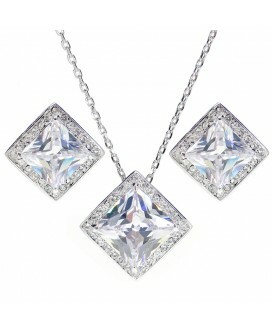 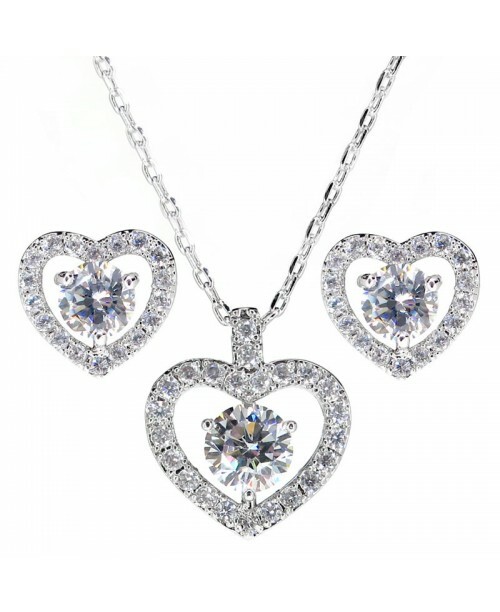 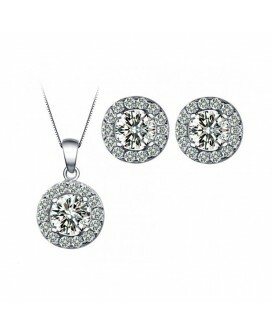 Nothing says "I love you" better than this set which shows your beloved as the centre of your heart.